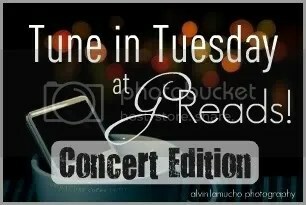 My Concert Bucket List [Tune in Tuesday] – my books. my life. I have been fortunate and have had the opportunity to see most of my favorite bands in concert over the years. But there are still a few bands that I would do almost anything to see. What shows are you dying to see? Head over to Greads! for more Tune in Tuesday goodness. I’d like to see Arcade Fire too. I’ve seen so many concerts. I’m really picky about who I see now. p.s. I will be crossing my fingers that you get to see these bands/singers in the near future!